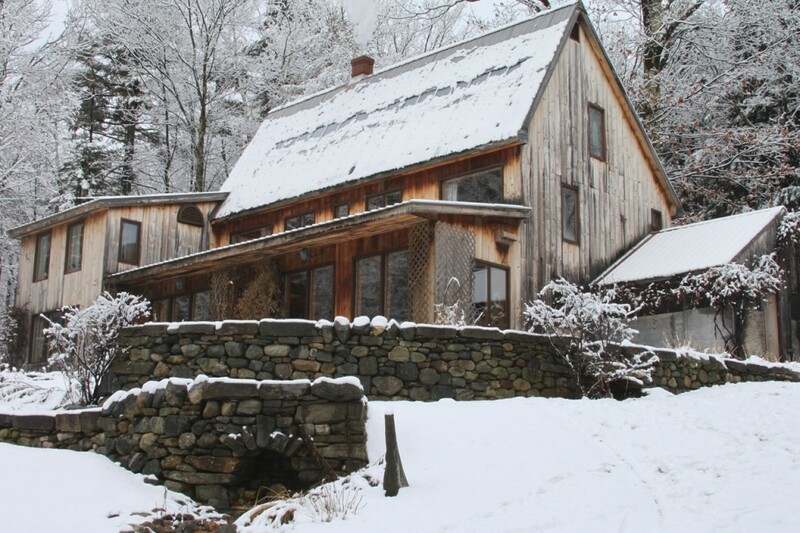 Installed in 1982, the original solar collectors (built into the roof and snow covered in this picture) still heat the Segar homestead. Here’s an important lesson I learned about marketing while running a solar business thirty years ago, forgot, and learned again after publishing my first book in 2009. With the rise of online, this lesson has never been more important than it is today. In 1979 I was an owner of Solar Alternative, a Vermont solar manufacturing company. It was the height of the first “energy crisis”, and solar was, forgive me, hot. We manufactured solar hot water systems, which we retailed, wholesaled and installed all over New England. Solar hot water was a fairly easy business to enter in those days, and our small company, which employed about a dozen people, had plenty of competition, some of it providing equipment of questionable quality. Apart from the solar collectors, which we manufactured using a few hand tools and our big investment, a ten foot sheet metal brake, all the other solar hot water system components could be purchased from any well-stocked plumbing wholesaler. We developed a reputation for supplying reliable systems that could stand the severe New England winters, but so did many of our competitors. Our company needed a way to successfully differentiate itself from significant competition. We noticed that our customers were unwilling to pay for information about how to correctly select and install solar hot water systems. There are many ways that these systems can fail or provide sub-optimum energy output, and we had learned how to avoid them. Our potential customers were willing to shell out big bucks for the systems themselves, but they did not want to pay separately for our hard-won knowledge. So we gave away our expertise. The one differentiator between Solar Alternative and our abundant competitors became our unique willingness to provide free, unlimited advice to the wholesalers and end-users who investigated and/or purchased our products. We were happy to freely share our valuable content—how to build and install high quality, reliable solar hot water systems—to anyone who asked. We gave away our content for free. We made money from the mark-up on our products when our prospects trusted our expertise and decided to purchase. There’s no question that writing my first book, which I began in 2005, cannot be described as a carefully thought out business decision. I was mission-driven to share what I had learned about participant-driven events since I began organizing them in 1992. It took four years of part-time work before Conferences That Work: Creating Events That People Love was published. Despite brisk sales over the last couple of years for what has to be described as a niche book, my hourly recompense for writing it currently stands at a few cents per hour. This isn’t news, of course. Very few of the million book titles published globally each year ever make an author much money directly. So, was my decision to write a book one of the poorer financial choices of my life? Well, no. (The worst was shorting Google’s IPO; it seemed like a good idea at the time.) Though the book provides a tiny income, the fact that I wrote it has led to numerous speaking, consulting, and conference design engagements, any one of which pays far more handsomely than selling a hundred books. Though the book isn’t free, its content sells for about one cent for every hundred words; a pretty minuscule amount. I make money from the apparent expertise and exposure that the book implies/conveys (your choice). Get the connection between these two stories? For whatever reason, people are generally reluctant to pay much or anything for commodity or packaged information. But that doesn’t mean they don’t value good content. Often, they use the existence of high-quality information to cement their trust in the person or organization that provides it. From this perspective, content—whether it be advice on solar hot water systems, a fresh way of thinking about conferences, or accurate, timely, and useful information on any topic—can be seen as effective marketing for whatever you sell that makes money for you. I think this has never been truer than in today’s online world, where it’s never been easier to find pertinent content. In 1985, my mentor, Jerry Weinberg, said it well: “Give away your best ideas“. It has worked for me; I believe it can work for you too. Do you give away your best ideas? If so, how has doing so worked for you? If not, why not?